Book to feature more than one hundred and fifty photos giving a unique retrospective of our Guest Principal dancer’s career. 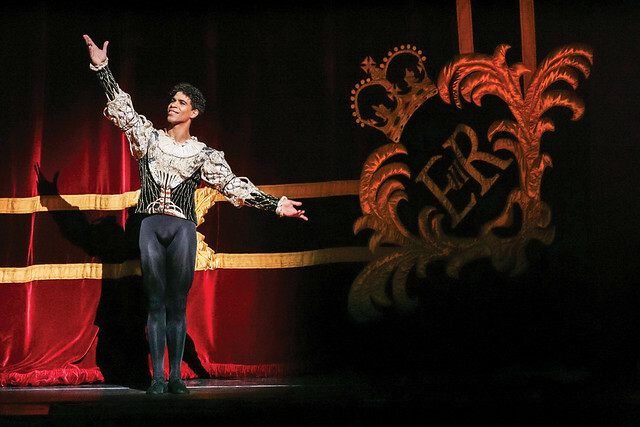 A new book looking back on Carlos Acosta’s 17-year-career dancing with The Royal Ballet will be released in November 2015. The book, published by Oberon, will include over one hundred and fifty images of Acosta performing some of the most iconic roles in the ballet repertory, including Siegfried in Swan Lake the Prince in The Nutcracker and Des Grieux in Manon. The publication will also feature photographs of Carlos on stage with the world’s leading ballerinas of recent years including Darcey Bussell and Alina Cojocaru as well as shots of Acosta with The Royal Ballet’s current stars; Sarah Lamb, Marianela Nuñez and Natalia Ospiova. Prefacing the collection of images will be a specially written introduction by The Royal Ballet’s Director Kevin O’Hare as well as tributes from previous directors, dancers and friends – giving readers a rare insight to Acosta’s time with the Company. Carlos Acosta at The Royal Ballet will be released on 2 November 2015. Carlos Acosta’s new production of Carmen runs 26 October–12 November 2015 as part of a Royal Ballet Mixed Programme. Tickets are still available. I have been so lucky to see many of Carlos' amazing performances at ROH, and particularly honoured to be present for his final Swan Lake and La FIlle ma Gardee, when I shed a tear or two. I am sure this book will be a great keepsake and provide some wonderful memories for Carlos fans; I will definitely buy a copy. A Carlos book signing event would be wonderful too - please! What wonderful welcome news!! I was hoping we would have some such publication to celebrate Carlos's amazing time with the Royal Ballet. I, too, had the pleasure of enjoying Carlos's final performances of "Swan Lake" and "La Fille Mal Gardee" earlier this year with a mix of emotions, and at the curtain call for "La Fille", I had a tear in my eye when his little daughter joined him on stage! My interest in classical ballet really stemmed from seeing Carlos and Marianela on BBC2 in 2005 in "La Fille Mal Gardee" - I was spell-bound watching this wonderful dancer and his partner moving with such grace and elegance to tell the story of the 'Wayward Daughter' with incomparable charm and humour. I will always cherish my memories of the many live performances I have now seen at the Royal Opera House, where I have had the honour and privilege of seeing Carlos in so many diverse roles. Thank you, Carlos, for all the pleasure you have given us - and thankfully a few more performances to come in the months ahead. May I also echo Angela's call, above, for a book-signing event? I also hope there may be some unreleased filmed material which may become available on DVDs! Great news about this book. I am surprised his wonderful partnerships with Tamara Rojo are not mentioned in the article but hopefully there will be many pictures of them in the book. Best wishes to Carlos. That's on my Christmas list! Lucky enough to be at the book signing today. Such a lovely smile through all the effort and what an amazing book. Thank you for all the joy of dancing you have given us over the years at the Opera House. Had not ad a chance to see Carlo on stage but watching him I can appreciate hs intelligence and the perfection of his craft. What a great gift he gave his fans, old and new!